Leave it to Lancia to build the ultimate suicide doors. The Aurelia, which appeared in 1950 and was built until 1958, had a number of superb technical aspects, some of which we’ll touch upon here. 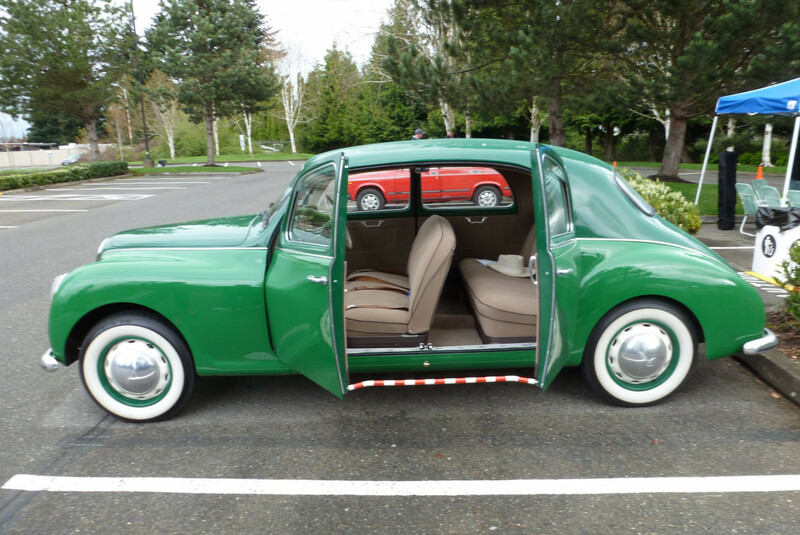 But its suicide doors, without any center pillar, really takes that concept to the max. Here it is from the other side, with doors closed. 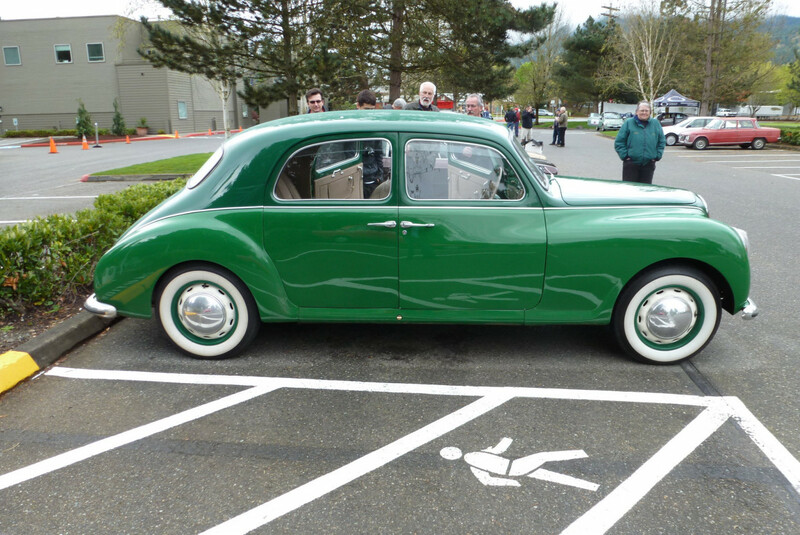 It was a very fine looking car for 1950; not exactly the ultimate leading edge of design, which would have given it the slab “pontoon” sides, but graceful and refined. Here’s the door locks on the sill. There’s another set on the top. I assume it worked well enough. With a suicide rear door, it’s not necessary for the door to be as long as in a conventional one, given the way one enters more from the front. The Aurelia bristled with advanced technical features, such as it s rear-mounted transmission/axle and independent rear suspension. An in the front was the world’s first production V6, a brilliant 60 degree mill developed by Francesco de Virgilio. It started out as a 1.8 L, and soon grew to 2.0, and 2.5 liters. The transmission’s location at the rear makes itself very noticeable in this shot, as there’s no transmission hump. Looks like a FWD car floor with a small tunnel for its exhaust or such. Needless to say, weight distribution was excellent, as was its resulting handling. I can’t begin to do these superlative cars justice here today, but they are considered as some of the finest built cars of their times. If you want more info, we’ve covered the various versions before here; the links are at the bottom. The Aurelia begot a superb coupe and spider, both of which are now extremely valuable collector cars. I didn’t even notice RR, although they recently returned to suicide doors. I mean a factory that never ever gave up on suicide doors. For at least 80 years or so. Maybe even longer. Splendid automobile. Is it just my eyes or is the paintwork a very subtle two tone? It’s not just your eyes. I don’t pay particular attention to pickup trucks, but there was a period, maybe from the late 90s to the mid-2000s where every extended-cab pickup had pillarless “suicide doors” although maybe not the exact same thing, because the rear doors couldn’t be opened independently from the fronts. I imagine this Lancia has rear doors that can be opened without opening the fronts. Initially I thought the same – but upon closer inspection of the photos, considering the placement of the sealing strip on the front door and the appearance of a lip on the rear door (more visible on the B pillar above the beltline) – I believe that the rear door is captured by the front. It wasn’t just trucks; some recent cars had those non-independent rear opening doors including the Mazda RX-8, Saturn Ion, and Honda Element. 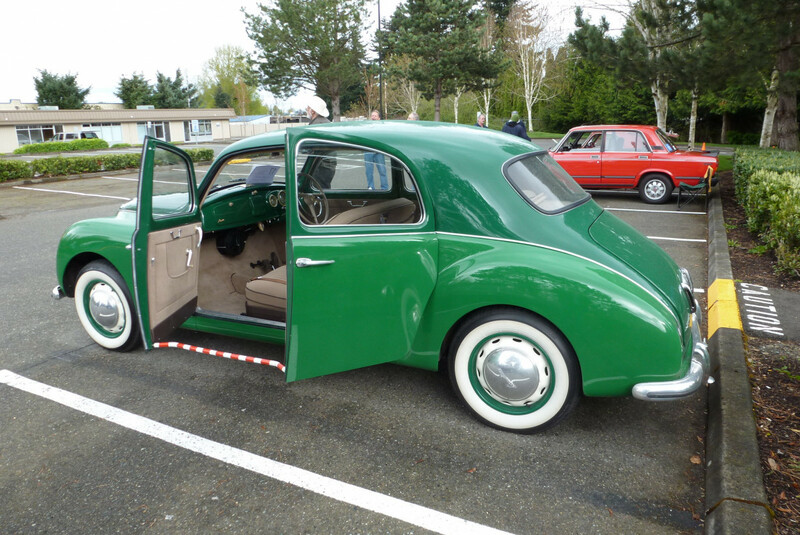 Yes, that style we’d typically call clamshell doors. Extended cab pickups started using them in the mid-’90s (1996 for the Chevy C/K Series), but starting with the 2002 Dodge Ram Quad Cab, there was a shift to rear-opening crew-cab style doors on full-size models. . After them came the 2007 Tundra Double Cab and the 2014 Silverado/Sierra Double Cab. Ford’s SuperCab and Nissan’s King Cab retain clamshells .Dodge did it mostly to try and fool buyers into thinking they had a true crew cab, which they wouldn’t until 2009, but most of the reason for those makes with true crew cabs to switch was to share more parts with the popular crew cabs. Personally, I’ll always prefer clamshells, as short rear-opening doors end up having a smaller opening for passengers (see image). But rear-opening doors are slightly easier to open in crowded parking lots. Mid-size pickups all use clamshells on their extended cabs, mostly because their cabs are too small to be useful for passengers anyway, and are used more for interior storage. A gorgeous car, especially inside. The body configuration (sans B pillar) reminded me of the Nissan Stanza wagon from the 80s, though that one used rear doors that slid back instead of opening suicide style with hinges. I recall the Nissan getting demerits due to its not-very-stiff body structure. That would be the biggest question mark for me on this car. Unless there was a way to bring the doors and hinges up to the strength necessary to make them structural members, I would wonder just how flexible this car is. 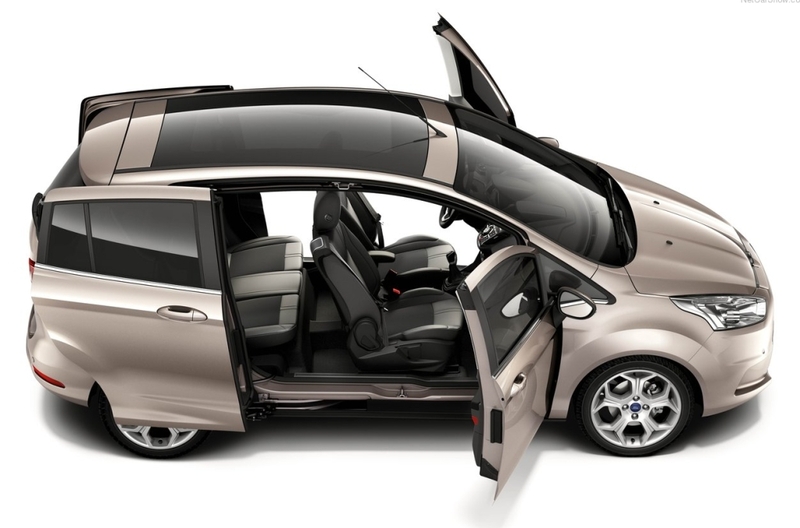 Rear-hinged doors allow a more graceful entry and egress to the rear seat, just set in and swing in ones legs, reverse the process to exit. Try it in a ’47-’52 Studebaker, ’49-’51 Mercury or Lincoln, ’57-’58 Eldorado Brougham or ’60’s Lincoln sometime if the opportunity presents itself. 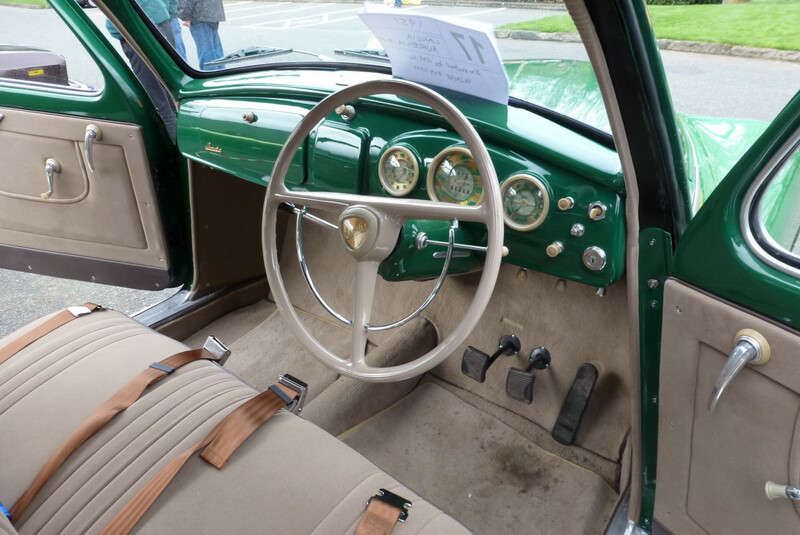 I had the chance to set in a ’36 Cord 810 Westchester front seat year ago, what a great feeling including the easy exit. 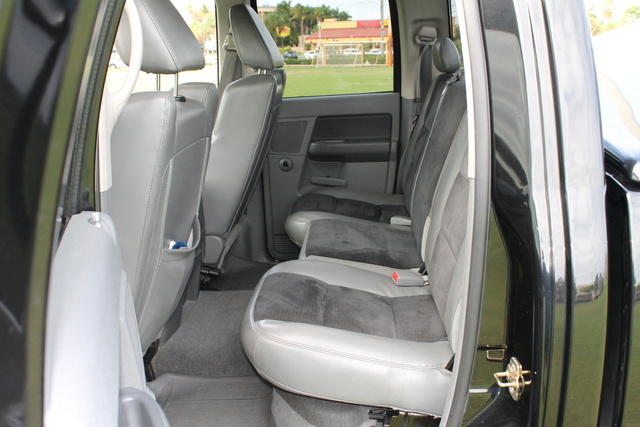 The rear seat, on the other hand requires a good deal of agility to enter and exit. The 1957-58 Cadillac Eldorado Brougham, Facel Vega Excellence, were also pillarless, although the door latches on the Brougham were mounted on a 14″ tall riser. The Facel Vega Excellence didn’t quite have the structural rigidity necessary, evidenced by the embarrassing incident with the French President and pinched doors…. It is an impressive feat of engineering to pull that off. Imagine the challenges of designing a unit body strong enough to take all the forces of the road in a structure with middle bracing? Must have been very strong door and roof sills to make it possible. Ford pulled it again decades later, but with sliding doors instead. Supposedly the B-pillars were embedded in the doors. 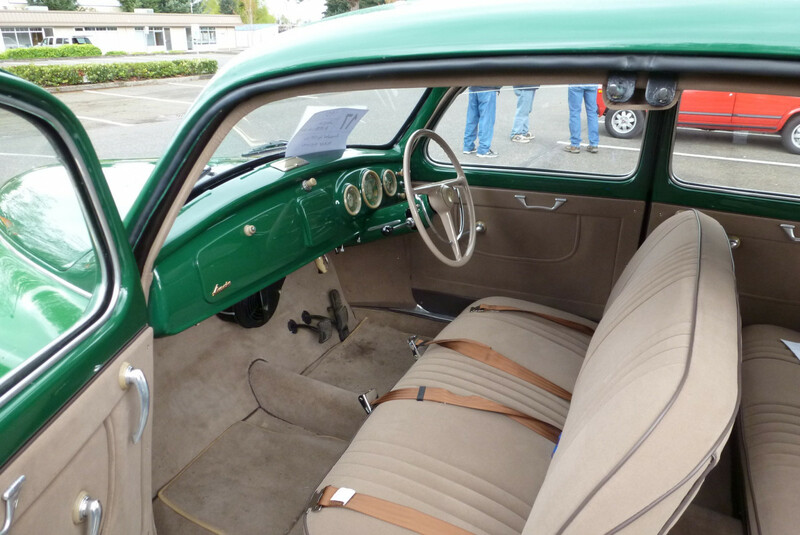 The Lancia Appia sedan also had this door setup. (The Appia was smaller, the size of a Fiat 1100 and had a narrow angle V-4 engine). I believe, in the one I owned many years ago, there is no overlap in the doors. 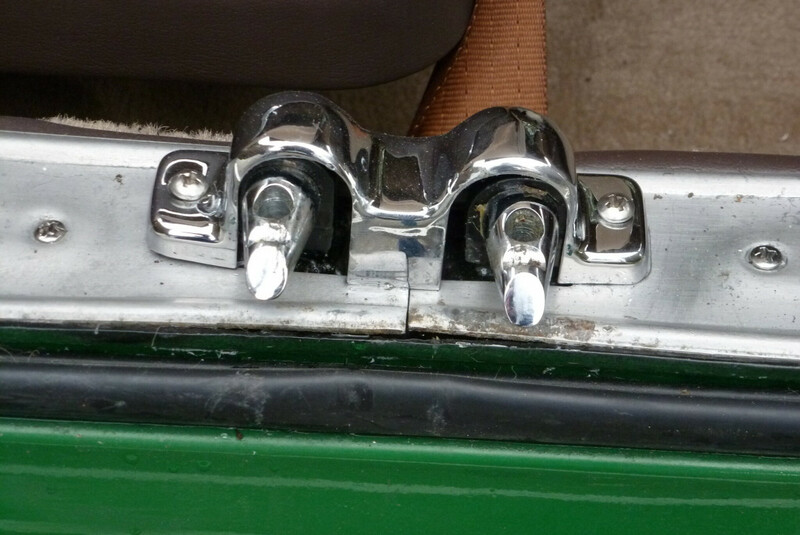 Hardened steel pins (as pictured) released as you operated the door handle on either door. It was built like a bank vault. Lancias were just amazing in design and craftsmanship. Paul, in Robert Kim’s CC of the B20 coupe 5 years ago, you commented that the sedan was almost awkward in appearance. Now you call it graceful and refined. It’s good to see your tastes can change with age, unlike some of us older guys who are stuck in our ways. Personally, I prefer the B20 coupe, an attraction that started 50+ years ago with Hergé’s Tintin book, “The Calculus Affair” and hasn’t changed. By the way, a suicide door Lancia Aprilia was featured in another Tintin book. Wow. Tintin surely left an impression on many kids, including those of us who took cars seriously. I read them on the 70s, of course by that time those were older cars. But I learnt a lot about models, years, and so forth. BTW, in “The Calculus Affair” the B20 coupe was driven by Arturo Benedetto Giovanni Guiseppe Pietro Archangelo Alfredo Cartoffoli da Milano, who upon telling his full name to a traffic guard was let go without a ticket after driving like crazy following a Chrysler Windsor which had kidnapped Professor Calculus hidden in its rear seat….Great teenage times. I’m such a snob. And like all snobs, ridiculous. 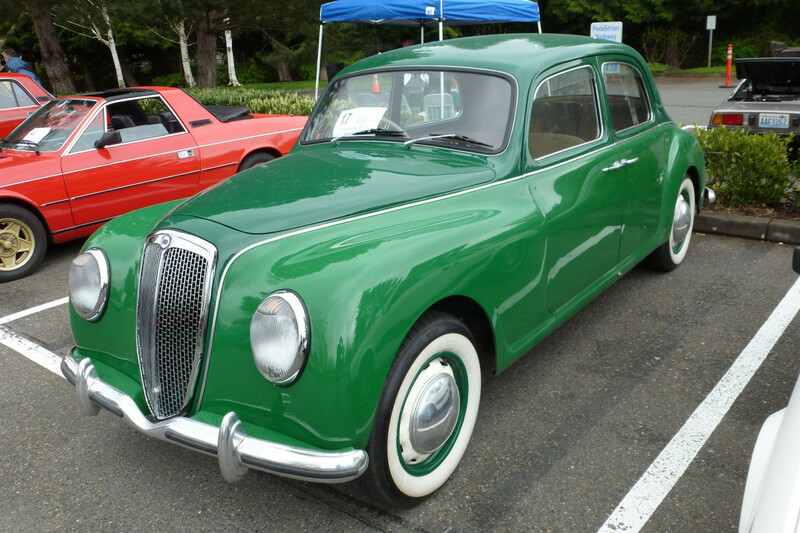 Why, if this was any other maker, I’d be saying it’s a bit skinny and tall, a bit humpy, and the face a bit lugubrious – all of which is true – but it’s a Lancia, you see. 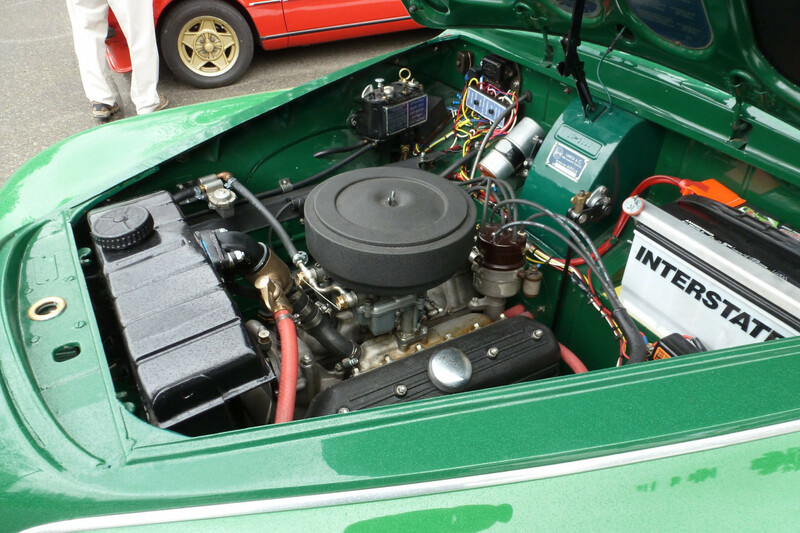 Pure engineering goodness, as much pleasure looking under the bonnet as underneath. Let alone to drive (not that I have, another affectation of the snob). Balance, noise, gear-precision, ride, all praised in satisfying proportion to the promise of the mechanical appearance. Open wide, come inside, say those huggy doors. If only I could. Though I must say I wouldn’t have the housepaint green finish, even though I’m confident it’s a Lancia colour (there was a stupendously rare Lancia Astura V8 convertible locally in the same hue). Can’t have my expensive Aurelia jewell box painted like Victorian heritage house guttering, what. Housepaint green – an excellent name for that color. Or colour, if you prefer. I just noticed that this one not only sported “Medium Housepaint Green” on its lower body, but also “Classic Park Bench Green” on the upper parts. Here, it’s also known as “I’m A Local Council Heritage Jobsworth Cardigan Wearing Try F*cking With Me And Learn How To Lose” green. Hard to say quickly in an emergency, which, in response to a pre-emptive demand to repaint one’s heritage-inappropriate guttering (or whatevs), one needs to be able to do. Louie had been an accountant, but -as oft happens to Worshipers of the Grape- had fallen on hard times and taken to wandering the country depending on the kindness of strangers. One day, as chance and an overzealous railroad worker would have it, he found himself on foot in the countryside, far from any town. Forced into unaccustomed walking, he became very, very hungry. Not being much of a hunter, he was becoming concerned when fortune offered him a lovely Country House of some size, with a three car garage, and the smell of fried chicken wafting from it. Louie summoned the last of his hungry strength, and knocked on the door to ask if he might have some small portion of that lovely chicken. Fortune having smiled on Louie made Fate frown and so the man who answered the door just happened to be a CEO for whom Louie had refused to fiddle the books way back when. He was not a nice man. Recognizing Louie he launched into a lofty hand-waving speech about the the virtues of hard work, pausing only now and again to puff his Cuban cigar. “If you were willing to work”, he said, “you could have had some of this for yourself”. “Okay”, said Louie, “define work as far as it relates to a piece of fried chicken”. Smiling greedily and triumphantly, the CEO took Louie to the back of the house which had a 40 foot covered porch overlooking a lovely garden and the garage in which resided a Land Rover, a Ferrari, and a Lancia. The CEO took Louie into the garage and pointed to five gallon-buckets of green house paint. “Paint the porch”, he said puffing expensive Cuban smoke into Louie’s face, “and I’ll give you some chicken.” Now Louie had pride, but his stomach didn’t, and there was no telling how far it might be to the next house. His pride wanted to protest, but his stomach rumbled “Okay” before his pride even got started. “I’ll be in the house; knock on the kitchen door when you’re done”, said the CEO, and vanished like the devil, in a cloud of smoke, into the air conditioned house. Haha – an old one perhaps, but I still got a good chuckle out of it. Haha! Still good. No, maybe ’tisn’t new, but the years haven’t wearied it. Always good to see someone here add a touch of colour. Or even color, if you prefer.